How do I determine best flooring option for my room please? Hi Depending on the sub floor if it is timber floorboards I would recommend engineered flooring or solid flooring. Avoid laminate ! ! If the sub floor is concrete and on the ground floor you would have to put a damp proof membrane down first but this is straight forward and not expensive. 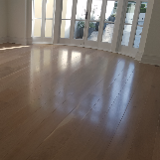 Hi Sara, Many people assume that fitting a laminate floor is somehow a cheap, low quality alternative to having a real wooden floor. Please check out Quickstep laminate with Uni click joints. Their ranges are great with natural textures and and even small sizes that look like woodblock flooring. It is the only laminate I install because of the quality. It comes with a long product guarantee. The installation price is cheaper because of the time scale of fitting is faster. There are many types of underlay that will do the job you need it for. ie damp proofing; sound proofing. Hope this helps. 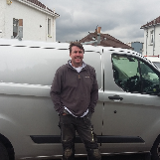 Nick shares his story of finding local tradespeople in his new area.